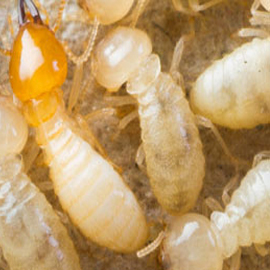 We've Got A License-To-Kill Your Drywood Termites! Only a complete inspection of your home or building can tell you if your structure has Drywood termites. 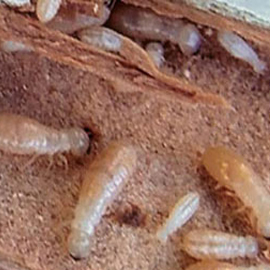 Drywood termites, commonly referred to as swarmers, are termites that swarm a structure and feed on the exposed wood. These termites are found in eaves, attics, garage spaces, and around door and window frames. They drill into wood, causing kick-out holes and small piles of wood shavings. Drywood termites usually swarm in the spring and fall, but in San Diego, they can be found all year long due to the favorable weather conditions. License to Kill's licensed termite inspectors will advise you of all areas of termite infestations in your home or building. Your inspector will also determine the best type of treatment suited to the structure. Accessibility of termite infestations will determine our recommendation of full-structure tent fumigation or secondary local spot treatments. Fumigation is the most effective way to fully eradicate Drywood termites. Also known as tenting, fumigation is when your home is covered for three days while gas fumigants kill the termites inside. We use Vikane gas fumigant because of its ability to reach Drywood termites where traditional pesticides can't. Vikane works by penetrating the structure to kill termites through suffocation. After fumigation, Vikane leaves no residue behind. 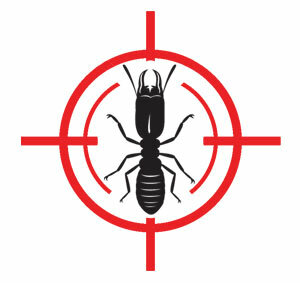 License To Kill provides a 2 year warranty on structural fumigations and offers maintenance contracts on all termite work. 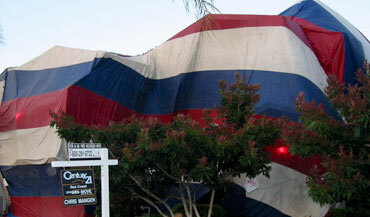 Our technicians at License To Kill are experts at local termite treatments. We have treatment solutions for houses, apartments, commercial properties and multi-unit structures. At the request of the homeowner or property management company, a recommendation for secondary termite treatments will be provided. We understand that when you're purchasing a town home or condominium, a neighbor may flat out refuse to have the fumigation and/or contribute payment for the cost involved on large buildings or homes. Simply inform us of your situation and we will work to accommodate you. 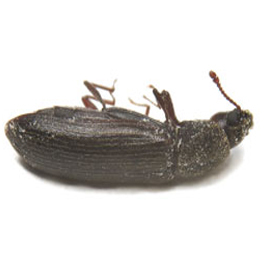 License-To-Kill offers a drywood termite control service agreement for either fumigation or secondary treatments that protect your structure after the initial warranty period has expired. Secondary treatments are typically used in apartment complexes, town homes, or homes where the homeowners do not want to open up the walls or fumigate the structure. License To Kill has has a high success rate controlling Drywood termites with secondary treatments. 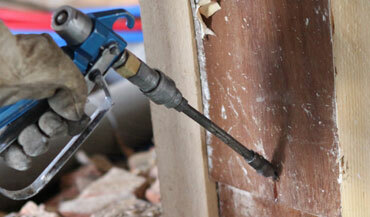 We use electronic tools to locate the wood members that are hidden behind drywall, plaster and paneling. When we find infested wood members, we drill up and down the wall along the beam. As we drill, we inject chemical into the wood members. Our technicians will patch the areas that were drilled and treated, property owners may want to paint surfaces after they have been patched. Drill & Treat Spot Treatments consists of drilling the wood members where the termites have been found and injecting a pressurized liquid chemical that penetrates the termite galleries. The termites transfer the chemical to other termites that they come in contact with, dying shortly thereafter. Our termite service technicians will cover up the drill holes which are typically 3/16ths of an inch in diameter. Our termite inspector will recommend the damaged wood created by the termites be repaired either by patching or replacing the wood. Wood replacement also allows us and others to determine if other termites are still active within the structure. 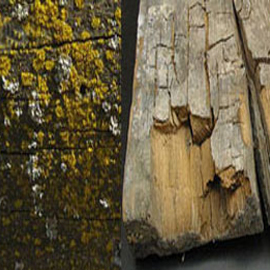 Replacing Termite Damaged Wood consists of removing the visibly damaged wood members and then inspecting to make sure the termites have been totally removed by this process. As a preventative measure, License To Kill will treat the wood members surrounding the removed wood. Our technicians will then install new wood along with caulking, priming and painting the new material as necessary. During the framing stage, we can treat wood members with Timbor which typically provides termite protection for about a decade. Not only is Timbor great at eliminating termites, its also repellant to ants, cockroaches and other insects. Timbor helps to prevent fungus and dry rot infections in the wood members treated. Preventative treatments are beneficial to existing structures too. Attics and sub areas have many exposed wood members which allow termites to infest the structure. If you are in the middle of a remodel, we can treat the exposed walls, ceilings and timber to protect your investment. Please note that when the areas are opened up and additional termite damage is found it may be necessary to drill and treat the wood or even fumigate the property. We'll repair any structural or cosmetic wood damage caused by Drywood termites or other wood boring pests.